It’s natural for a child to feel a little anxious before a dentist visit. And as a parent, it’s natural for you to want to help ease their anxiety. Anxiety around the time of a dentist appointment is extremely common in both children and adults. While there aren’t many people who view a trip to the dentist as an incredibly fun experience, it doesn’t have to be completely nerve-wracking either. It’s important to focus on the outcome of the appointment: essential dental care for a cleaner and healthier smile. Creating a positive association with these trips at an early age may help your child cope with future visits better. It’s crucial to address any fears head on and try and get your child to a place where they won’t avoid dentist appointments when they’re older. Fear of the unknown could play a huge part in anxieties around an upcoming dentist visit. Arranging a quick meeting between your child and their dentist could go a long way in making them feel better before the actual appointment. They will also get a chance to see where the treatments will take place, making them more comfortable with their surroundings on the day itself. Let your dental practice know why you’d like to come in, and they’re likely to make an extra effort to build a rapport with your child. As anxiety about dental treatments isn’t just limited to children, it can be something that adults unconsciously pass on to their child. Be careful with what you say about dentists in front of your son or daughter. Avoid any negative language and use positive words such as ‘healthy’ and ‘sparkling’. If you have a dentist appointment coming up for yourself, make sure not to express any anxiety around their child. If they start to associate dental visits with fear from your side, they’re much more likely to feel nervous around the time of their own visit as well. Make it clear that a dentist appointment isn’t something to fear and ultimately has a positive outcome. It’s also important that you don’t talk about any painful dental treatments that you’ve had yourself with young children. They aren’t likely to need the same treatment themselves, so there’s no need for them to know the details. Most children are curious creatures. You’re likely to get a lot of questions in the days leading up to the dentist visit. Answer these as simply as possible without going into too much detail. The truth is, you don’t know which specific treatments the dentist will prescribe for your child. It’s best not to try and tell them exactly what to expect in case things go a little differently. Leave the more complex questions to the dentist. It is important not to avoid their questions though as brushing the conversation to a side may lead to them feeling more anxious. Address their questions with brief and simple responses using positive language. Call up your local dentist to find out if they are experienced in pediatric dentistry. A dentist who is specially trained in treating children will know exactly how to deal with nervous little ones. They will have a greater understanding of child behaviour. They’re also likely to make the experience a little more fun for children. It’s also possible that their dental office is specially designed to accommodate both children and adults. To inject a little more fun into the thought of a dental visit, you could always host a pretend dental appointment in your home during play time. You could introduce some dolls into the mix and either you or your child could play-act the role of a dentist and spend a bit of time. Inspect the doll’s teeth or your own teeth using a mirror to make your child feel a little more comfort at the prospect of someone looking into their mouth. Careful not to introduce any elements related to more serious dental treatments, which would just serve to worsen any fears. Talking about oral health more frequently will help your child feel a little more comfortable with the topic in general. If they adopt good oral hygiene habits from an early age, they’re much less likely to experience serious dental problems in the future. If their teeth are in good condition and you take the necessary measures for gum disease prevention, each dental appointment will naturally be shorter and more positive. Negative experiences at the dentist are usually only a result of more serious treatments which can be slightly uncomfortable for the patient. To ensure that your child doesn’t develop any dentist related anxiety, it’s important to keep up a regular frequency of appointments. If the child gets into the habit of visiting the dentist, it will become more of a routine and less of a one-off unusual experience. It is recommended that you start taking your child to the dentist from the age of one, and then keep up with regular six month appointments for checkups and cleaning. Make sure you pick a friendly dentist! As simple as this sounds, you can’t underestimate the importance of friendliness to soothe your child’s fears. While professional expertise and training is vital, you also want someone who will be kind and friendly with your children throughout the process. It is also important that the dentist is able to converse with children in an easy to understand language. If you’re unsure about a dentist over the phone, feel free to meet with your local dental practice or nearby private dentists to find the best fit for you and your kids. This will give you the peace of mind that the dentist you’ve chosen will offer your child a positive experience. At Acorn Dental Practice, we are dedicated to providing a great dental experience for families. One of our aims is to impart parents with enough dental knowledge to make good decisions about their children’s oral health. 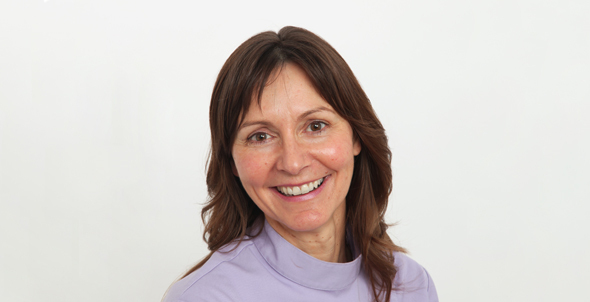 For quality care for all ages, our dental practice in York is committed to providing a high quality service which means fewer treatments and a healthier smile. Get in touch with us today for more information and appointments.